At the start of the season you may remember I posted my preview to this season’s Championship campaign where I asked a few questions that I felt were important as we headed into a new season. The main two were around whether Hull KR could bounce straight back into Super League at the first time of asking and could Bradford Bulls survive after a torrid pre-season? The final question I asked myself was what the prospects were for the other ten teams in the division? Who would be pushing for the top four and who would be looking to avoid the drop to League 1? We’re now a quarter of the way through the regular season after this weekend’s round six results so I wanted to take the chance to look back and see how my questions were panning out so far. WILL HULL KR BOUNCE BACK? As expected the Robins are storming their matches so far and are setting the benchmark at the top of the table after their six games and looking good for a direct return to Super League. Opening round victories over Bradford Bulls and London Broncos, who I predicted their main challengers to the League Leaders Shield would be, settled any pre-season nerves as to how they would fare this year. They followed that up with a narrow win by ten over Rochdale Hornets and trounced Oldham 48-0 in round four. 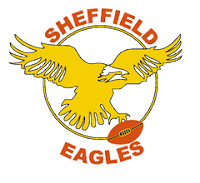 Two more big victories over Sheffield Eagles and Dewsbury Rams have seen them rack-up an impressive ‘point’s for’ total of 256 with only 80 points conceded. The result of all this is that the Robins are already two points clear at the summit with their main challengers, the Broncos, three places and four points behind them. Attendances have also been promising for the East Hull club with spectators at home games regularly tipping the 6-7,000 mark. Coming up next for KR is a comfortable home Challenge Cup tie against Sheffield followed by two more home games in the league against Halifax and Batley Bulldogs. Halifax may prove the trickier of those two ties after their impressive home victory over London Broncos at the weekend but home advantage should make it plain sailing for the league-leaders. Bradford fans should be delighted with the way their new team has started the season and are already half way to wiping clean their points deduction. Three wins from their opening six games puts them on -6 points after a quarter of the way through this regular season and if they didn’t have that deduction they would be sitting in eighth place. It didn’t look promising for the Bulls at first though with defeats in their first two games, but great victories over Swinton Lions, Toulouse Olympique and Batley last weekend have seen them give hope to their loyal fans that they might just pull off survival in the Championship. Their next matches see them take on Dewsbury Rams, Oldham and Sheffield, who are all struggling, so I reckon they could quickly be back to zero points fairly soon. And that leaves them with plenty of games left to get the required points total, roughly 14, to avoid the drop. WHAT NOW FOR THE OTHER CLUBS? It already looks like it’s going to be a real battle for the final three top four places to qualify for the Qualifiers when the league splits. Featherstone Rovers are the team in second with five wins from their first six games. The only blot on their sheet was a very narrow surprise defeat at home to promoted side Rochdale Hornets. For me they already look odds on to seal a spot in the Qualifiers and their next league game against Toulouse looks like it will be a cracker of a game! I predicted in my preview that Toulouse would also be a force this year. So far they are looking good with four wins and are unbeaten on home soil. 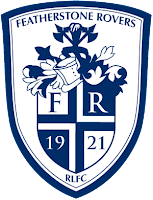 Their next game though will be a real tester and if they can get a result away to Featherstone then they will move up to second and prove a point to some fans and punters who didn’t think they would be able to push for the top four. London Broncos are fourth with as many victories but, other than a 42-12 drubbing of the Bulls two weeks ago, they haven’t had it all their own way as they could only beat Swinton by three points and Oldham by two. Their other victory came away to struggling Dewsbury but even that was only by 14 points. Elsewhere in the division Rochdale are by far the surprise package of the season as their fifth place standing comes courtesy of three victories over Dewsbury, Bradford and Featherstone and a draw with local rivals Oldham. They even topped the table after the opening two rounds! Halifax and Batley have struggled early on by their recent standards and both have to play Hull KR in the next few weeks so they’ll need to really up their game if they want to push further up the table. At the wrong end of the table Oldham have three points and their next three games do not look particularly favourable – trips to Batley and Toulouse either side of a home match with the resurgent Bradford. Sheffield and Swinton are both struggling with just one victory each and looks like they could both be sucked into a relegation battle during the remainder of the season alongside Dewsbury. Maybe Sheffield’s pre-season struggles were bigger than I thought as I were tipping them to be pushing for a place in the Qualifiers. The Rams are having a nightmare of a season and only have the Bulls’ point’s deduction to thank for keeping them off the bottom of the table with five defeats from as many games. If you like what you read you can follow all my blogs on Twitter through @TheRLBlogger.